薰衣草油, Neroli Oil, Potassium Sorbate, 乳酸. 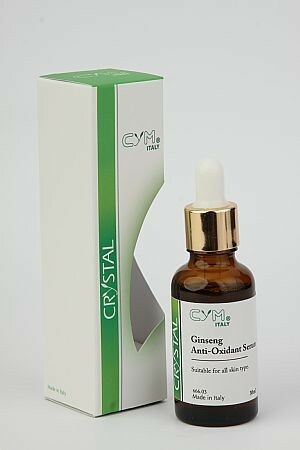 Ginseng Anti-Oxidant Serum is alcohol free and helps to restore the skins natural pH levels with the added benefits of antioxidants to defend skin cells against free radical damage. It leaves the skin feeling refreshed and hydrated while aiding the absorption of active ingredients into the epidermis. Day and Night. Use after cleansing, over makeup to create a dewy effect or at anytime to freshen skin especially during long flights when skin becomes taut and dehydrated. Alternatively, apply a small amount of Ginseng Anti-Oxidant Serum to dry palms and pat over entire face or use to dampen a cotton pad and wipe over entire face to remove remaining impurities and makeup after cleansing.